In our last post, we discussed the strengths and weaknesses of the three most popular techniques for miRNA detection, qPCR, miRNA-seq and microarray. We ultimately concluded that these miRNA detection technologies are appropriate for different experimental circumstances, and a lab’s decision about which to use should be driven by their research goals. Today, I’m excited to report on a presentation about this very topic. SelectScience recently hosted a webinar by Dr. Ariane De Ganck, Product Manager of Transcriptomic Services at Biogazelle. Dr. De Ganck spoke about the importance of detecting microRNA in challenging samples like FFPE and biofluids, and the combined sequencing and qPCR approach (with the miScript system) that Biogazelle uses to get the most comprehensive, accurate results. Watch the recording of Dr. De Ganck’s presentation and read some of the highlights from her Q&A session, originally transcribed here by SelectScience. Then, let us know what you think about this combined methodology in the comments! Q: What are the benefits of miRNA profiling? A: I see benefits for both studying individual miRNAs as well as doing a genome-wide miRNA profiling study. miRNAs have been shown to be very important negative regulators of gene expression and do this in a time- and place-specific manner. They are crucial in normal development and disease processes. 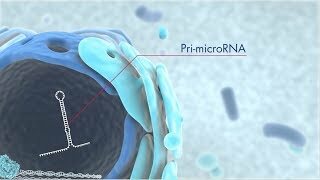 A profiling study is typically done when it’s not known in advance which, and to what extent, miRNAs are involved in your experimental conditions. It is important for a profiling study to measure as many miRNAs and isoforms as possible in order to maximize the chance of finding interesting results. Q: How much starting sample would I need to profile an entire miRNome? A: We typically start our workflow with 100 ng of total RNA from tissues, which is equivalent to RNA coming from 2,000-5,000 cells. For body fluids, we start with 200 µL of fluid. Q: What are your thoughts on using preamplification, and does this affect the reliability of data? A: We normally use preamplification when we have a low input amount of material, and we have extensively compared PreAMP versus no PreAMP and have seen very good concordance as the measurement changes among both samples. When you include the preamplification step, you really don’t need a lot of RNA, I would say 10 ng of total RNA from tissues and only 10% of the RNA extracted from 200 µl of body fluid. Q: Can you discuss the normalization step for miRNA expression study in body fluid and suggest a best method? A: For body fluid, it’s about normalization and discovery, then you can apply the same kind of normalization in small RNA sequencing. Also, if you use qPCR miRNomes you could apply global mean normalization. The modified global mean normalization on common targets (D’haene et al., Methods in Molecular Biology, 2011) would be the best normalization strategy in body fluid. Q: When comparing studies using a normal comparative cohort, what is the cohort size and how is it defined? A: This is not a straightforward answer, the larger you take the cohort, the better the chances to obtain statistically significant results. If you need to put number on it, then I would say 20 controls versus 20 patients is the minimum you should start with. The best approach is to perform a dedicated power analysis. Q: What made you choose to use the QIAGEN miRNA platform in the study? A: There are a number of interesting characteristics with this QIAGEN platform. First of all, the universal reverse-transcription reaction, also the fact QIAGEN has validated assays for almost the entire miRNome. Also interesting for us was the preampification step, because we have a lot of projects with low input amounts of total RNA. On top of that we like the overall good performance according to the miRNA quality control (miRQC) study and internal evaluations. Q: Can the QIAGEN miScript system be used for shRNA validation? A: If you want to check whether the short hairpin is used to knock down a certain miRNA and you want to check the expression of that miRNA, you can use the QIAGEN miScript technology. On the other hand, if you want to check the expression of your short hairpin RNA, you would need to customize the assay. Ali Bierly, PhD is a Global Market Manager in Translational Sciences at QIAGEN, and has written on a number of scientific topics in the biotech industry as the author of QIAGEN's Reviews Online. She received her PhD from Cornell University in 2009, studying the immune response to a protozoan parasite, Toxoplasma gondii. Ali has a keen interest in the emerging importance of microRNA and other circulating nucleic acids as biomarkers for disease. I’m a theory/hypothesis designer based on multiple pilot studies. I’ve discovered some critical points based on my method of study. Now I’m engaged with testing my hypotheses. As it is essential to test upstream/downstream checkpoints, is it possible to ordering some materials/ or suggesting to provide some new ones, alternatively and in collaboration? ‹ Previous Article Methods to the miRNA detection madness – which should you choose?